Now you can get case status through SMS even if you don’t have internet connection. The PULL SMS service allows you to request for and receive information about Next Hearing Date of the cases filled in NCDRC/State Commission/District Consumer Forum by sending SMS through your mobile. 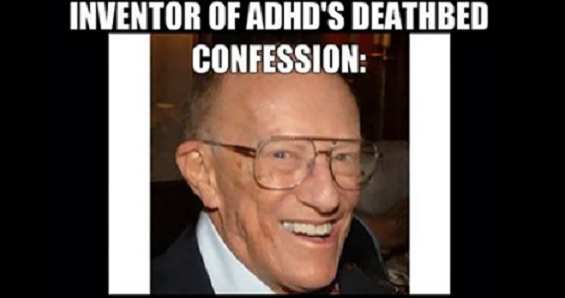 These were the words of Leon Eisenberg, the ‘father of ADHD (Attention Deficit Hyperactivity Disorder),’ in his final interview before he died in 2009 at 87 years of age. Some have described Dr. Eisenberg’s statement as an ‘exaggeration’ of sorts however many doctors are now coming to the realization that ADHD is often ‘over diagnosed’. Let’s go back 50 years. We have a 7-year-old child who is bored in school and disrupts classes. Back then, he was called lazy. Today, he is said to suffer from ADHD (Attention Deficit Hyperactivity Disorder). . . . Every child who’s not doing well in school is sent to see a pediatrician, and the pediatrician says: “It’s ADHD; here’s Ritalin. In reality, almost 90 percent of these 5.4 million kids don’t actually have any kind of abnormal dopamine metabolism. The real problem is that if a drug, considered the easy route, is available to doctors, they’ll make the corresponding diagnosis. Dr Eisenberg made a excellent and often luxurious living off of his “fictitious disease,” thanks to pharmaceutical sales. He received the Ruane Prize for Child and Adolescent Psychiatry Research and was a leader in child psychiatry for more than 40 years through his work in pharmacological trials, research, teaching, and social policy and for his theories of autism and social medicine. The medical industry is using the guise of helping children to depersonalize and disconnect our children from a healthy, and somewhat normal upbringing. Parents are pumping these drugs into their kids with blissfull abanon, subjecting them to nothing of what the world has to offer, when in fact all these children are looking for stimulation and a fullfilled upbringing. The objective of this Portal is to provide Citizen a facility to report their inconveniences and problems related to Removal of Encroachment Department. This is an attempt by Municipal Corportation of Greater Mumbai (MCGM) to bring transparency into the working of department as well as to track the work alloted to the concerned DO’s and officers and make them accountable. Record production in the United States (US), weakened demand from the Eurozone and emerging economies like China and Brazil, and Iran’s entry into the international market have effectively slashed the price of crude oil for India, from $106 per barrel in July 2014 to $26 in January 2016 — a 75% drop over 15 months. So, why are you not seeing evidence of this price-cut at your local petrol and diesel station? The answer: As global crude prices reach a 11-year low, the Centre and state governments steadily increase excise duties and value-added tax, shoring up their revenues and keeping fuel prices high for retail consumers. Although India imports more than 80% of its fuel requirement, which means declining global prices should, theoretically, have seen sharp declines in retail petrol and diesel prices, Indian consumers of petrol and diesel now pay about double the global rate. A Supreme Court (SC) judgement on a theft claim filed by a public sector unit in Odisha states, “In the absence of violence or force, the insured cannot claim indemnification against the insurance company. The terms of the policy have to be construed as it is and we cannot add or subtract something. Howsoever liberally we may construe the policy, we cannot take liberalism to the extent of substituting the words which are not intended.” It is based on another 2004 SC judgement. The new SC judgement is clear that the terms of the policy are sacrosanct; it can’t be subjected to interpretation. The liability of the insurer would depend strictly on the policy conditions. Home insurance, travel insurance, commercial insurance, etc, may cover ‘burglary’ and not ‘theft’. For a layman, both seem to be same. ‘Burglary’ is theft that has to be accompanied by forced entry, violence, or threat of violence. ‘Theft’ may not have a forceful or violent entry to cause a loss to residential or commercial property. It can even be an insider job by an employee or a family member. Your case may fall under a long list of exclusions, or the semantics of the policy, which differentiates between ‘theft’ and ‘burglary’. Burglary is the criminal offence of breaking into and entering a building illegally for the purpose of committing a crime. On the other hand, theft is the act of stealing; the wrongful taking and carrying away of the personal goods usually without force. If the home insurance policy excludes burglary and covers only theft, then you are at a disadvantage. What about theft or burglary while travelling? Moneylife had written about the case of Cox & Kings (C&K) tourists being robbed in a bus in Italy which was not covered by the insurer. (Read http://tinyurl.com/hcojgq9). It helps to clarify what is burglary versus theft which is applicable to home as well as travel insurance. While buying travel insurance, customers hardly know what is really covered.